Superhero Series: Winter Wonderwheels | Calling all superheroes! Join Team AFK for this festive extravaganza to keep you motivated through the colder months! 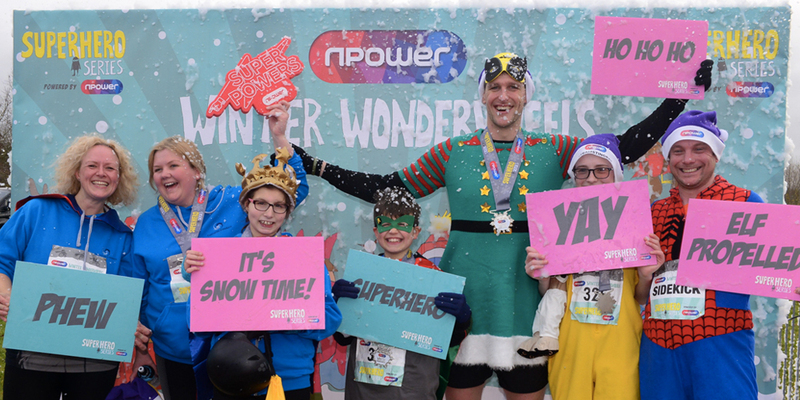 At the Winter Wonderwheels event, everyday superheroes are invited to cycle, walk, run, push, or anything in between around Dorney’s spectacular lake. You can choose your distance – a 1km, 5km or 10km challenge – so there’s something for everyone. The challenges are accessible and open to any kind of support – there are no cut-off times and all types of gadgets and gismos are welcome, from day chairs, handcycles, walking frames and trikes to tandems, race runners, blades and bikes. Are you ready to be a superhero for disabled children and young people? Team AFK is turning up the festive fun to the max at this family-friendly event, so add plenty of Christmas sparkle to those Superhero costumes! We have space for 6 teams of up to 3 people per team. To register, contact our Events Manager Caroline on 020 8347 8111 or email events@my-afk.org.